Looking for a Drug Rehab or Alcohol Rehabilitation Center in New Hampshire? The state of New Hampshire is part of the New England region, and is one of the smallest and least populated states in the nation. This however hasn't spared New Hampshire from the problems associated with drug and alcohol abuse and addiction. 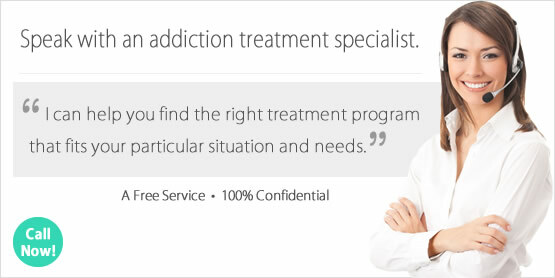 So when a New Hampshire resident needs assistant with a drug or alcohol problem, or perhaps assistance getting a loved on this help, it can be helpful to speak with a professional treatment counselor at a drug rehab program in the state to understand what programs are available and which one is most appropriate. Not all drug rehabs in the state are the same and not all provide the same results, so speak with a counselor in the state today to determine the best route for yourself or a loved one. In 2014, there were approximately 4,300 individuals in New Hampshire that were enrolled in some type of substance use treatment. Among individuals in New Hampshire enrolled in substance use treatment that year 20% were in treatment for alcohol use only, 13% were in treatment for both drug and alcohol use, and the rest were in treatment for drug use only. Without question, heroin and other opiates are the number one drug problem in New Hampshire. Over half of clients in treatment in the state are there for a heroin or prescription pain pill problem. There is no other drug or illicit drug that even comes close to the devastation that opiates have caused in New Hampshire, including alcohol. Heroin is a much bigger problem than prescription pain killers, accounting for nearly 37% of admissions in the state. The alcohol problem in the state is he 2nd most significant drug problem, and is very often part of a more serious poly-drug use problem. Alcohol abuse and addiction can have so many devastating problems if allowed to persist, which is why alcohol treatment must be fully comprehensive for New Hampshire residents. The traditional 12-step programs and AA may not provide the essential treatment that can open the door for full rehabilitation, and may have failed clients in the past. Thankfully, there are alternatives treatment remedies and the most comprehensive alcohol treatment in New Hampshire is available at any of the inpatient or residential facilities in the state. Not surprisingly, there are only about 55 drug rehab programs in New Hampshire, and 80% of these programs only provide outpatient treatment services. Highlighting the opiate problem in the state, over 2,500 of the 6,300 outpatient clients are only involved in opiate maintenance services at 12 of the opiate maintenance facilities which provide opiate dependent clients with the prescription drugs methadone and buprenorphine which works only to curb withdrawal and stop cravings, but it doesn't resolve their opiate dependence issue in any way. As an alternative to outpatient, there are also 17 residential non-hospital programs, and 3 hospital inpatient programs. These facilities in the state offer the most ideal environment and circumstances for someone to overcome opiate addiction and dependence without the use of medical drugs as stated above. What does Inpatient Rehab in New Hampshire Involve? Inpatient and residential non-hospital treatment in New Hampshire provides the highest rates of success for clients, because of how these programs are structured. Drugs and alcohol aren't a temptation, or as much of one during the most challenging days of abstinence, because they aren't available. This of course isn't true in an outpatient setting because drugs are readily available. Client activities are based on tailored treatment plans, and treatment schedules are much more rigorous and aggressive because this is all the client will be doing. Without every day distractions, clients can focus on treatment and not be hampered by outside influences which could cause a relapse. Inpatient and residential treatment in New Hampshire can include individual therapy and counseling, group substance abuse counseling, cognitive behavioral therapy, motivational coaching, and other conditional steps including diagnosis and treatment of co-occurring mental health disorders for dual-diagnosis clients. What does Outpatient Rehab in New Hampshire Involve? Because most of the drug rehab programs in New Hampshire are outpatient, residents may think this is the best option and choose it because of convenience or cost. But these programs in general off very minimal treatment services, and certainly do not have the best reputation of helping chronic addicts resolve more extensive drug and alcohol problems. Even the most aggressive outpatient treatment may not be sufficient, so this should be kept in mind and more intensive treatment considered as described above. If outpatient is the only option, clients can choose a more intensive option such as day treatment/partial hospitalization facilities in New Hampshire or intensive outpatient treatment for several days per week.